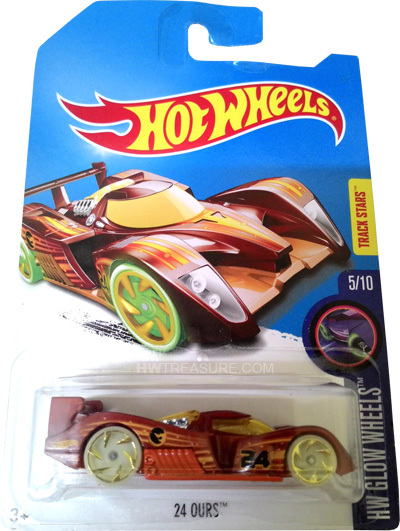 DVD08 is a 2017 Treasure Hunt and 5/10 in the HW Glow Wheels series. The burgundy car is decorated with yellow stripes and dots outlined in orange. The sides feature “24” in black and the low production symbol. 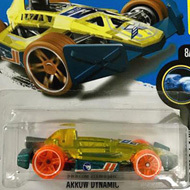 It has yellow tinted windows, a chrome interior, glow-in-the-dark RA6 wheels with gold spokes, and an orange metal Malaysia base. 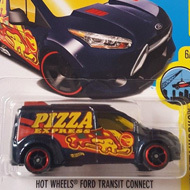 This vehicle can be found in mix “M” of 2017 Hot Wheels mainline cases. 24 OURS made its debut in the 2011 New Models series. It was inspired by the Peugeot 908 racing car.